Pour all ingredients except for the 151 rum into a shaker with ice. 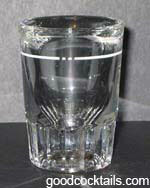 Shake and strain into a shot glass. Add the float of 151 rum on top.